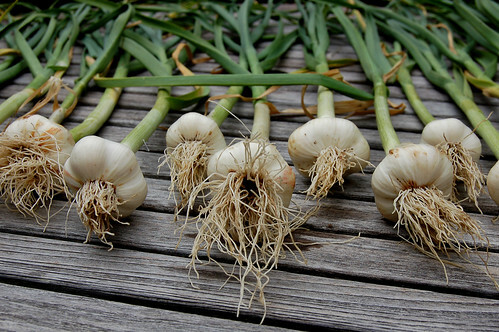 Back in March, I wrote a post about planting your own garlic crop. 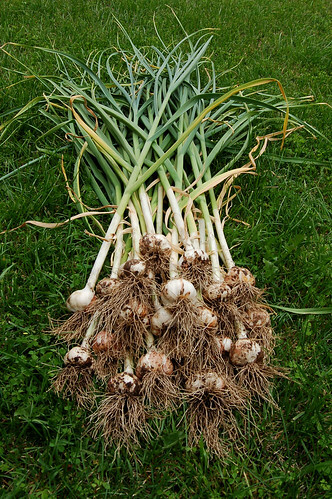 Well time has done her proverbial thing and we've harvested a fine crop of garlic - about 40 heads in all. Hopefully, it will be enough to last us the whole winter. It was deeply satisfying to pull their papery purple and white heads from the ground, all covered in clingy black dirt. 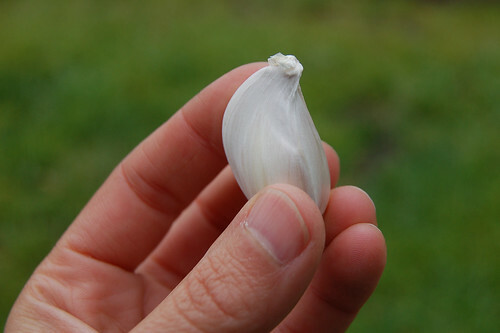 And it is truly luxurious to cook with this new garlic -- so tender, so fragrant, so delicious. Here are some pix. 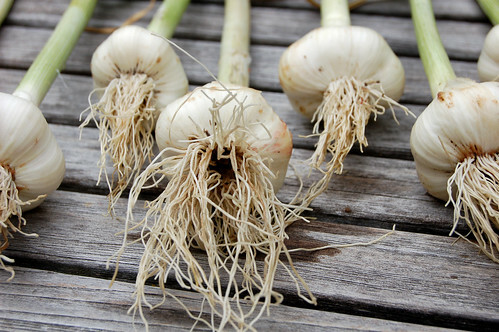 If you are not already addicted to growing your own garlic, I'd suggest giving it a whirl next year - it's ridiculously easy and the rewards are rich. 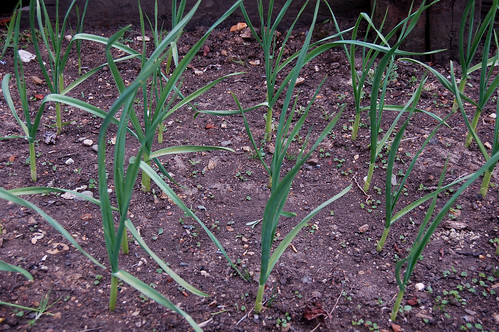 Once we'd planted the cloves, the plants shot up quickly - almost overnight! Just a few months later, they were ready to harvest. A close-up of the heads just after being yanked out of the ground. Drying on the table on our deck after washing. A close-up of the drying heads of garlic. We did! Only some of the cloves we'd planted turned out to be the hardneck variety (which produce those wonderful garlic scapes) but we actually made them into a garlic scape pesto which was very intense and tasty. I think we may have used some of them in a stir-fry, too. Oooh I am so jealous. 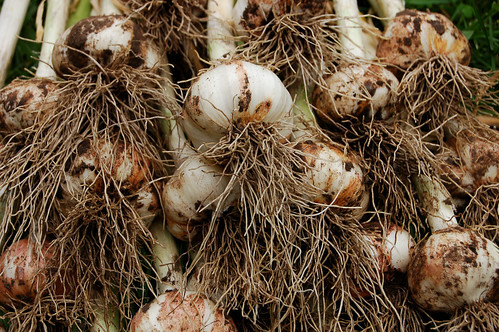 What a wealth of garlic. I love the scapes too. Great grilled!